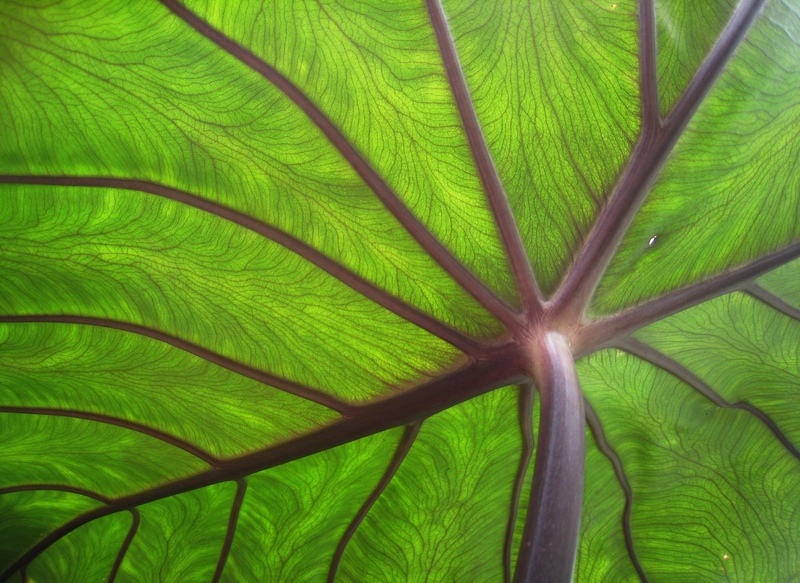 Taro or Kalo as it is known in Hawaiian was the most important food plant in ancient Hawaii. To properly irrigate the Kalo the cultivators known as kanaka mahi’ai had to design a series of ‘auwai or irrigation ditches to insure that their crops would have ample fresh water from the upland areas. Kalo was known as the “plant of the land” and was best grown near cool flowing waters.